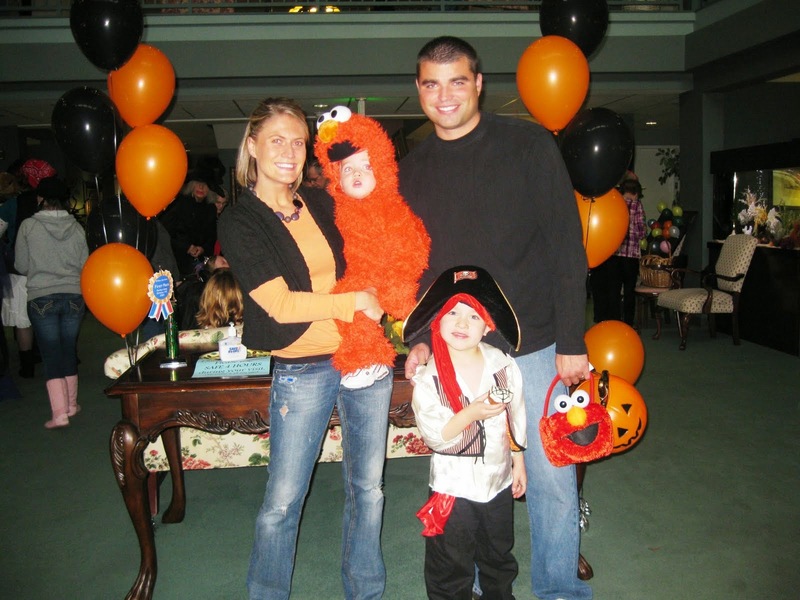 I was feeling a bit nostalgic today, thinking about the fact that Jake is 9 years old this Halloween and probably won't have a whole lot more in him before he's too old and too cool to dress up with the bunch. 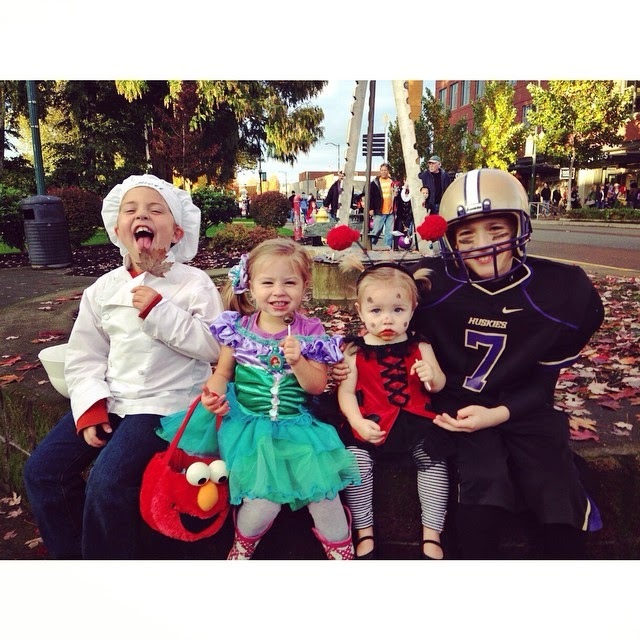 So, with that said, I'm cherishing these last few with all four in their cute costumes. 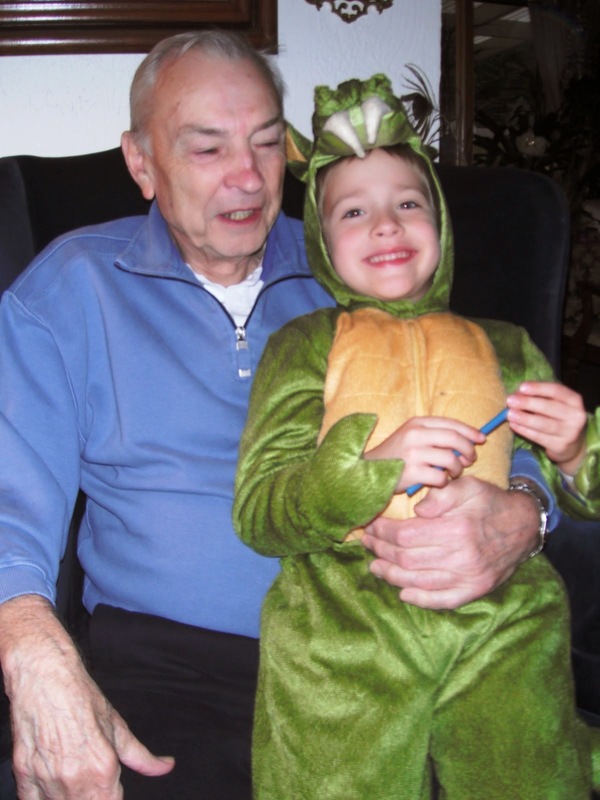 I decided to look through old family pictures to see how many old Halloween ones I could find. Oh my cuteness. When and how did my babies get so big?!?!! 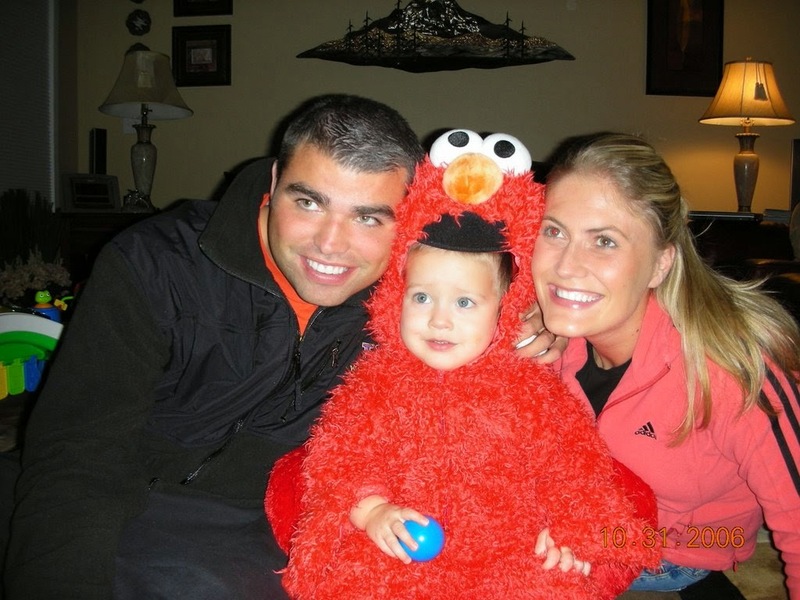 I know we have pictures of Jake when he was only 6 months old (wearing the cutest frog costume), but I can't find it anywhere. I think I've got the rest of the Halloween's covered, though! 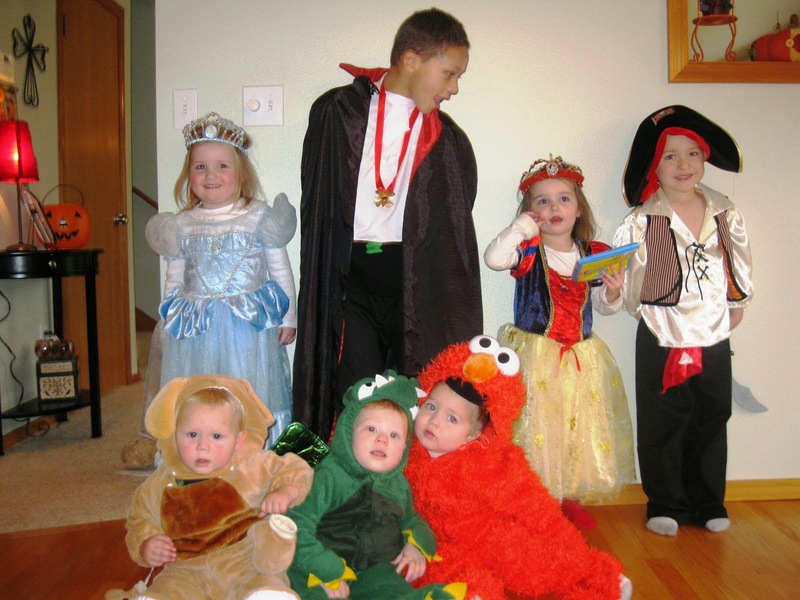 And then Halloween 2007 is also missing a picture! Boo! I can't even remember what Jake was that year. All I know is I was about 6.5 months pregnant and looked like I had a pumpkin hiding under my shirt! These first couple pictures make me miss my grandma. 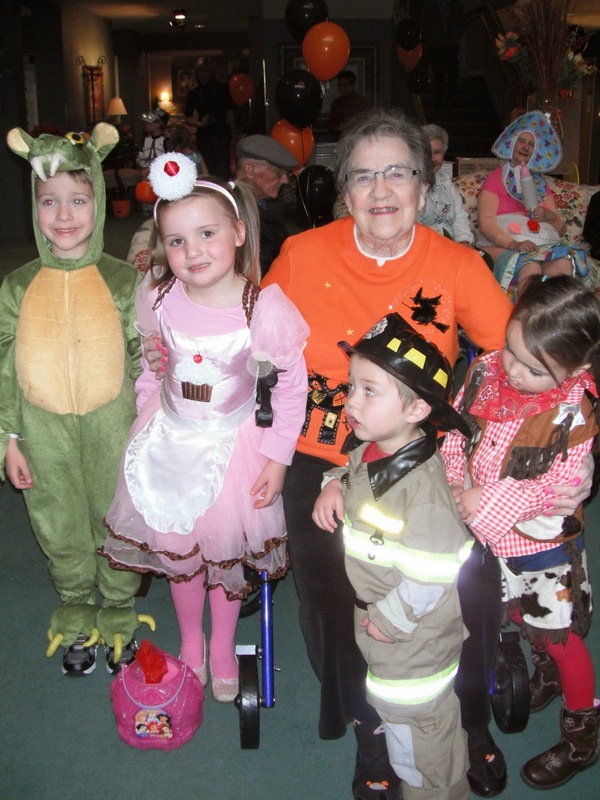 Each year, on Halloween, we'd go to her retirement home for a fun kids' carnival. It was a highlight of the year for us and I know she was in heaven the entire time. Showing off her grandbabies for everyone to see! These pictures make me sad because not only do I miss my grandma, but I had recently found out I was pregnant in these pictures...and about 6 weeks later, we lost this baby. 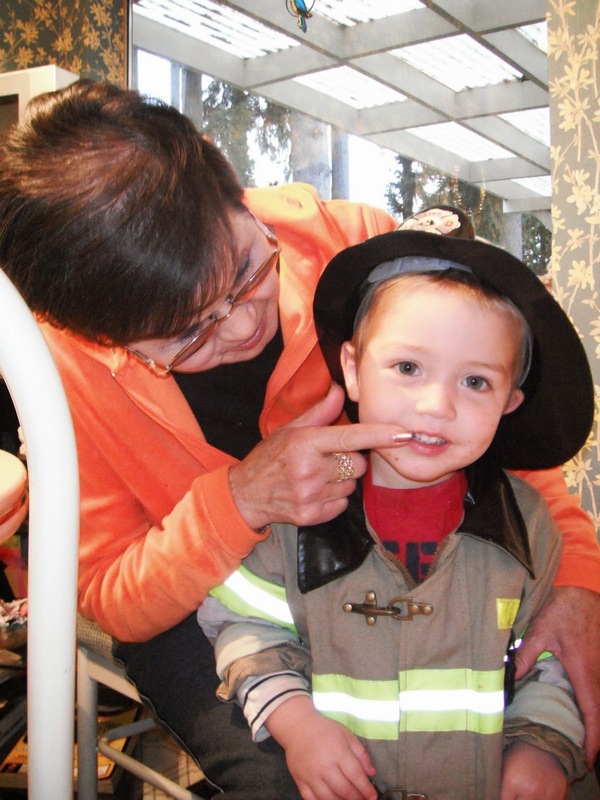 =( But look how cute my little dinosaur and firefighter were! I was only a month from delivery in these pictures and this was such a fun Halloween! See that giant baby belly!!? And how fun that my sister was just over 2 months away from delivering her first baby in these pictures! I can't wait to share about the fun year we had being pregnant and giving birth to cousins just 5 weeks apart. 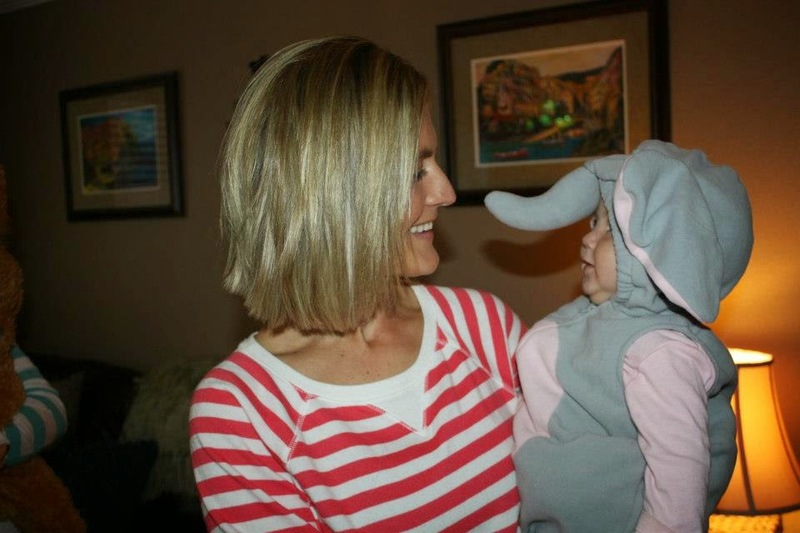 Molly's first Halloween and can you handle the cuteness of this plush little elephant?!?! I mean, really! 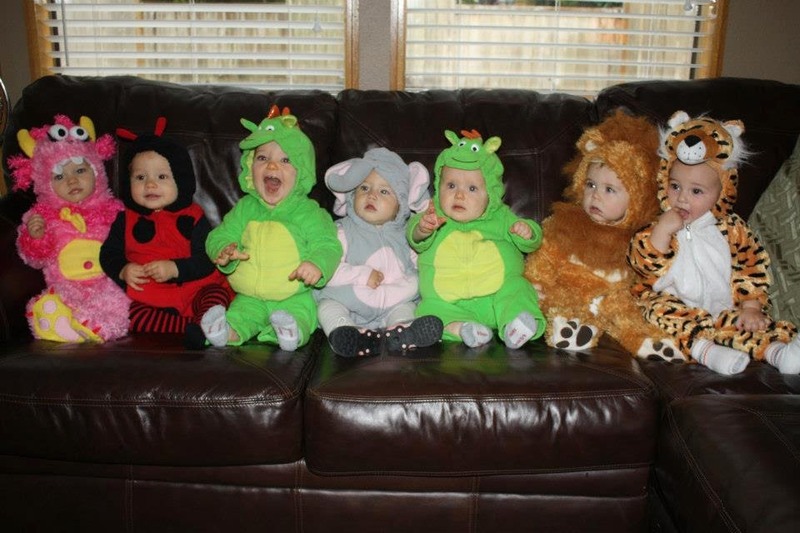 And I couldn't not include this adorable group of babies. These are all of Molly's buddies and they were seriously the CUTEST!!! 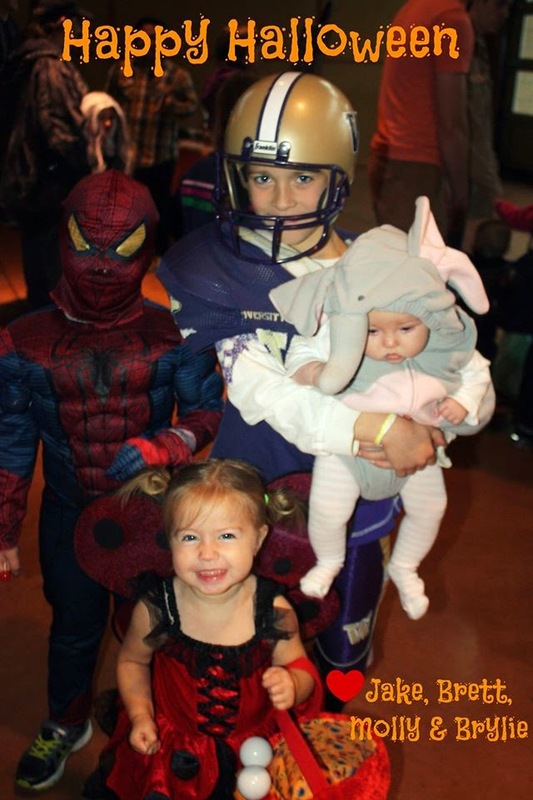 And baby Brylie's first Halloween where she was passed down the elephant costume, looking cute as ever! I think Brylie will always be in a familiar costume. That's what happens when you have girls just 18 months apart. Am I the only one dying right now??? She's too much!!! Absolutely not sure what's going on here. She's throwing me a sultry look with a popped knee and hand on hip. All I asked for was a smile. Oh dear.... And incase you didn't figure it out, she's Ariel. Naturally. I really wanted a kid pic here, but Molly insisted that daddy was in the picture. When I suggested that he shouldn't be, this is what we got. And no surprise here! He asked if we could do an "independent picture." Well, okay then. 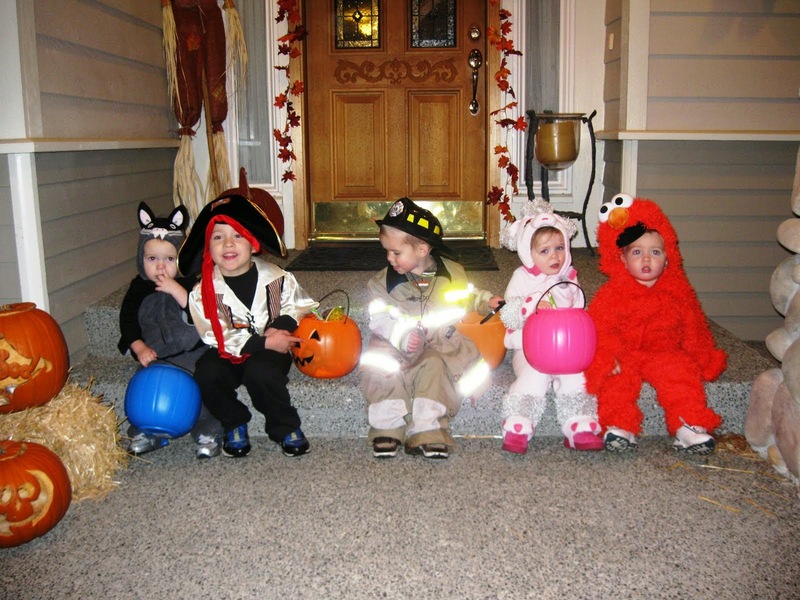 We had a fun afternoon at a Halloween carnival, ending with trick-or-treating in our neighborhood. In fact, as I write this, all my boys are still out and about. 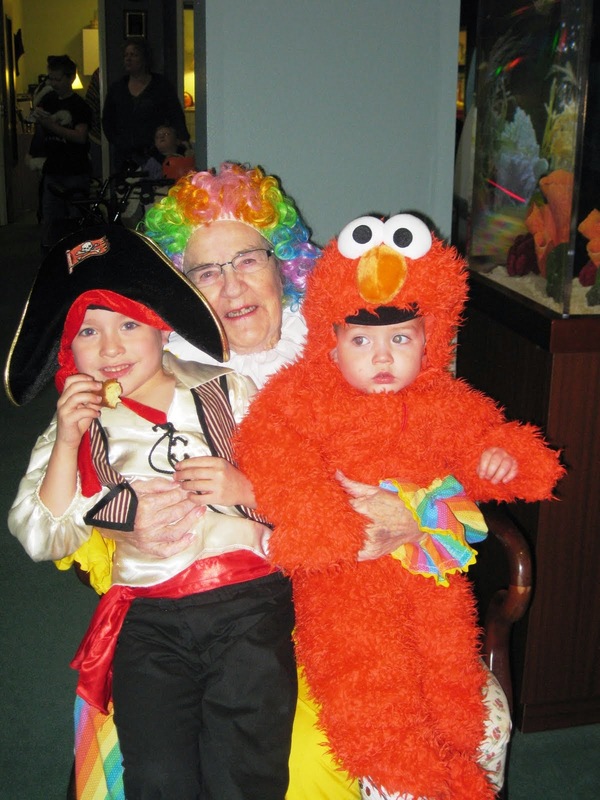 I'm loving the pictures of all of your families in their festive gear!! Hope you have a safe and fun evening! Happy Halloween, friends! I forgot that our girls were so close in age!! They may need to meet one of these days! I just adore seeing pictures of them. They are so sweet! Love seeing the evolution over time. Your kids are adorable! 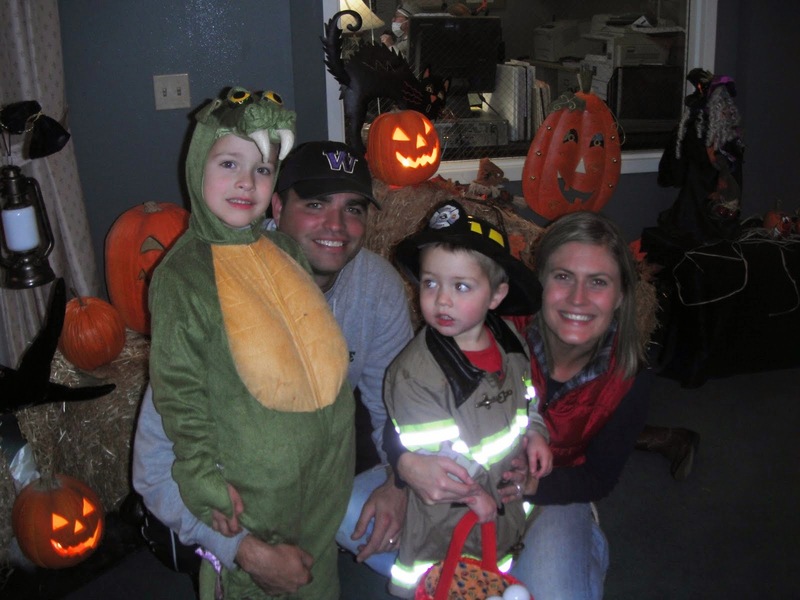 Our 1st Halloween party! I hope we keep the tradition for years... and that my kids start enjoying the pictures one day!